One thing the Lord has reminded me of through this miscarriage is just how precious my 1 1/2 year old is. Not that I took him for granted before, but even more so now I am trying to savor every minute with him. Today I pulled out the memory box I made for my little guy when he was born. With a brand new little one comes many precious keepsakes that don't always fit into a scrapbook, so I made him this memory box. One of those teeny-tiny, credit-card-sized first diapers! It has been a fun diversion for me to remember all of these sweet details again and keep my mind off of our loss. Thank you so much to all of you for the outpouring of love and support you've given us. It is a blessing to be loved on in such a big way! Your memory box is beautiful. Mine are shoved in a rubbermaid. I have been a subscriber (reader) of your blog and your faith is such an inspiration. I am sorry to hear about your loss and I said a prayer for you when I read your post. This is a sweet post. Memories of wonderful things help so much, don't they? Love from us over here. I'm so sorry to hear of the loss of your precious child. I lost a child when I was 11 weeks pregnant. I am so glad that you have peace about it, even though I know your heart is broken. You love that child from the moment you know you are carrying it and it is so hard when you find out you won't hold him/her in your arms. Your memory box is so lovely! I wish I had that for my 4. Now, my oldest is 23 and it would be awesome to see the things that were happening when she was born. What a wonderful mother you are. I am sure that the Lord will bless you with many more children. I will keep you in my prayers. That's really a sweet and precious memory box. It's neat to hear that God was taking care of you even before you got to your appointment. I pray He continues to be your comforter. oh dear, I came here looking via a link while looking for wedding gift ideas. 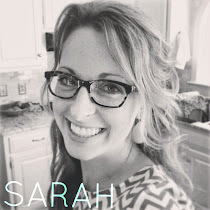 Sarah, I love that idea! I've been trying to think of what to do with all of that "firsts" stuff and I'm totally going to use your idea, thanks! I love that idea! I've been trying to think of what to do with all of that "firsts" stuff and I'm totally going to use your idea, thanks!Memories of wonderful things help so much,...thanks. What a great idea! I think I just might have to make a memory box for my little guy too.